Midwifery care was unavailable to Abby J. Kinne in Ohio. When it came time to birth her fourth and fifth children, she carried out extensive research in order to educate herself in unassisted home deliveries. These experiences prompted her to write Handbook for Homebirth. In 1977 Abby co-founded Center for Humane Options in Childbirth (CHOICE). She held many positions within the organization, including midwife, midwife coordinator, childbirth educator, treasurer, as well as member of the Board of Directors. She also developed CHOICE’s apprentice training program in 1977, followed ten years later by its monitrice training program. In 1984 Abby co-founded the Ohio Midwives Alliance, where she served as chairperson for the Legislative and Legalization Committee. Her work, Midwifery: An Informational and Educational Packet, was presented to Ohio’s Advisory Committee on Midwifery Care. In 1996 she was appointed to the state legislature’s Direct-Entry Midwifery Study Council to represent Ohio midwives as they sought legislation to recognize CPMs. Not only did Abby contribute to the development of the North American Registry of Midwives (NARM) exam, she became the first North American CPM in 1994. She also served the Midwives Alliance of North America (MANA) as Research and Committee Chair, Membership Chairperson, Treasurer, and First Vice President. At age 65 she limited her workload to serving clients and training apprentices. In 2008 she and her husband moved into their retirement home, called “The Stork’s Nest,” on a large piece of property in Ohio. Three years later, Abby passed away peacefully. 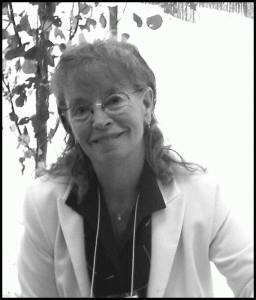 To learn more about Abby J. Kinne, visit http://www.choicemidwives.org/?page_id=167.